Kastar adapter M14- 1.50 thread with 3/8'' O-Ring flare by 3/8'' tube fitting. Fits TU-443 and TU 480A. The 72309 Kastar Adapter M14- 1.50 Thread With 3/8'' O-Ring Flare By 3/8'' Tube Fitting is one of thousands of quality tooling products available from MRO Tools. 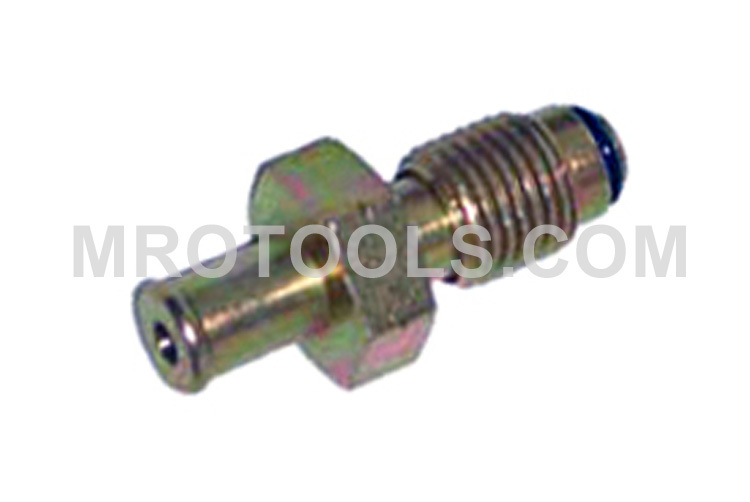 Please browse Kastar Gas - Petrol Fuel Injection Pressure Testing Equipment for tools similar to the 72309 Kastar Adapter M14- 1.50 Thread With 3/8'' O-Ring Flare By 3/8'' Tube Fitting. 72309 Kastar Adapter M14- 1.50 Thread With 3/8'' O-Ring Flare By 3/8'' Tube Fitting description summary: Kastar adapter M14- 1.50 thread with 3/8'' O-Ring Flare By 3/8'' Tube Fitting. Fits TU-443 and TU 480A. Quantity discounts may be available for the 72309 Kastar Adapter M14- 1.50 Thread With 3/8'' O-Ring Flare By 3/8'' Tube Fitting. Please contact MRO Tools for details.